ALCOOL ISOPROPILICO 99,7% purezza in flacone da 50ml TAPPO CON SIGILLO. X pulizia lenti, disinfezione, pulizia contatti elettrici, schede elettroniche cellulari ossidati etc. asciuga quasi all'istante non lascia residui. Established 2002 and located in Minnesota, USA, SF Planet specializes in electronic accessories. We carry Vena, GreatShield, Fosmon, FosPower & JuzPetz products. The microfiber avoids scratches while lifting and trapping dust from the screen. Lenspen NLP-1 Lens cleaning pen. LensPen is designed specifically for cleaning dust and fingerprints on optical lenses.Do not use on wet or plastic surfaces. 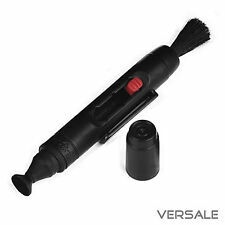 Remove any pareticles on the lens surface with the retractable brush. So kann die Verügtung Ihres Objektivs und der Filter nicht angegriffen werden. Der Cleanpen hat zwei Funktionen: Die Pinselseite aus Spezialsamt ist für die Entfernung von Staub und groben Schmutz gedacht. Includes Blower, Brush and Cleaning Cloth. 3 Piece Kit. All prices stated are in the currency specified. There are no hidden fees on the advertised price. Browse All. Add to favs. Easy to use and chemical free. Includes Lenspen Original Elite, FilterKlear Elite, MicroPro Elite and a Microfibre pouch. microfiber carry case / cleaning cloth. United Kingdom. 12 x Cleaning swabs. It can safely and effectively remove the stubborn stains on the sensor. Ergonomically designed, its easy to use. 135mm x 140mm. Quality Microfibre Cloth. - EFFECTIVE | Wipes away smudges, fingerprints, dust, and dirt; the cloths contain no harsh chemicals; lint-free and provide a streak-free performance. - REUSABLE | Reusable and long-lasting. Top Grain Leather Deer Hide. Deer skin Clean cloth. Cloth size: 160 mm x 90 mm (5.9" x 3.4"). 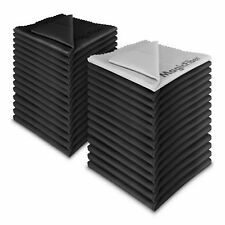 #1 Best Selling Premium Microfiber Cloth in the World! It features 7x magnification and 6 ultra-bright LEDs. The LEDs are embedded in extra-low dispersion glass to make the light illumination well-distributed, enhance the light gathering effect, and reduce the shadowing. Made of high quality microfiber, the cleaning tongue features a high dust-attracting power and leaves no lint after cleaning. The sensor cleaning solution is safe and effective to clean away dust and oil stains. Pec pads are ideal photo wipes. When Pec pads are used with PEC-12, they are ideally suited for cleaning photographic film and print emulsions. 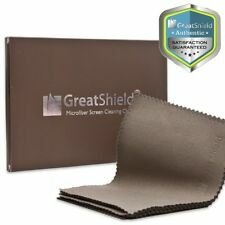 PEC PADs are so soft and pure (99.999%) it is almost impossible to scratch sensitive surfaces. Materiale inMicro-fibra, questo tampone e' ideale per la pulizia e manutenzione di macchine fotografiche e ottiche e per ccd. La testa è priva di lanugine. ISO14644 classe 4. efficiente micro particelle e la pulizia sporcizia. It can safely and efficiently remove stubborn stains, fingerprints and oil stains, lint-free and streak-free. Cleaning brush is anti-static treated and is super soft with zero scratch to the delicate optical surface. Special silicone-free dry cleaning tissues for lint-free cleaning of optical surfaces. 5 booklets, each comprising 30 tissues. Optimized for wet cleaning with the use of cleaning fluid (Not included). High quality microfibre cloth in a protective neoprene case. Due to its high-quality fibre construction it is very effective. Suitable for optical surfaces. Rest of World United Kingdom. The King of Flash Ultra-Premium Microfibre Cleaning Cloth uses the latest in micro technology in order to create the next generation of screen protection. Modern touchscreen devices such as iPad, iPhone, Samsung Galaxy and HTC products amongst others are coated with an oleophobic (anti oil) layer to prevent unwanted finger-marks and smudges. With a fresh citrus scent, they'repreferred 2 to 1 by eyeglass wearers. These wipes c lean as well and easily as previous alcohol-based cleaners. 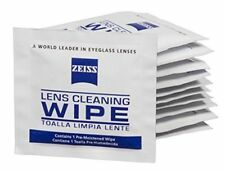 Disposable and antistatic, the micro-fine tissue wipes leave zero scratches, streaks or marks on eyeglass lenses. The eco-friendly formula is alcohol free and specifically designed for sensor cleaning. It can safely and effectively remove stubborn stains from the sensor. It is one of the most versatile cleaning agents available. The list goes on and on. ROR - Residual Oil Remover - Lens Cleaner - 1oz Dropper Bottle. ROR is not an optical surface cleaner in the usual sense. When used in conjunction with a Microfibre lens cloth the union creates an effective cleaning technique. Product model: Caloclear Lens Spray 100ml. Caloclear solution 100ml. Caloclear 100ml x 1. 25mm glass fibre strands in 120mm long pen. Ideal for removing battery corrosion ini difficult to reach places. 3 in 1 (Cleans, Cares & Prevents) HEAD Cleaning Cassette for Sony Digital 8 Camcorder. This Cleaning Cassette will work in Sony Digital 8 range of camcorders. Below is a list of Sony Digital 8 Camcorder this tape will work in. Dust-Free Cotton Swab x 12pcs. Dust-Free Cotton Swab Triangular carbon cleaning tip fits cleaning angles of viewfinder or display. Dust Blower Cleaner x 1pc. Dust Blower Cleaner Microfiber Cleaning Cloth for Lens x 6pcs. At less than an ounce, it won't weigh you down no matter where your travels take you. The Lenspen is dry, there are no liquids to spill, drip or dry out. 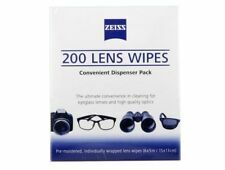 Removes fingerprints, smudges, dust and dirt from your compact lens. Der riesengroße Blasebalg (120x55 mm) aus Naturgummi sorgt für umweltfreundliche Druckluft. Ideal für Objektive, Tastaturen am PC und Keyboard und CCD Sensoren. Produktart: Luftpinsel. Jeder Verbraucher ist nach dem deutschen Batteriegesetz (BattG) gesetzlich zur Rückgabe aller ge- und verbrauchten Batterien bzw. Apply and dry with suitable lens cloth / tissue. This non-abrasive cleaner is an iso-propyl alcohol based solution with a mild detergent for cleaning of lenses and other optics. Especially effective when used in conjunction with tissues. 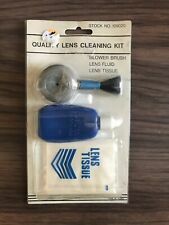 Allows highly effective and gentle cleaning of all optical surfaces, specially designed for small optical surfaces like eyepieces and even smartphones. Rest of World United Kingdom. Model Number: Cleaner Kit. Type: Clearing suit. 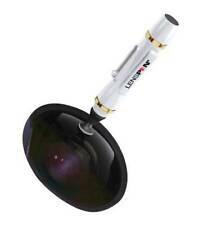 The Lenspen Original Lens-Cleaning Tool (NLP1W) is A superb tool in optical lens cleaning technology. There's nothing else like it on the market a. Lenspen Original Elite NLP-1W Lens Cleaner Cleaning Pen - White.